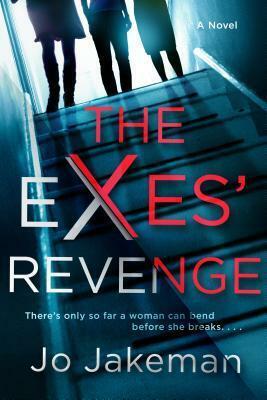 The Exes’ Revenge by Jo Jakeman is a debut thriller that for this reader just seemed to lack a bit of thrill and border more on a drama. The story is one that begins at the end and then takes the readers back to a so many days before countdown to where we’ve begun. Imogen is in the process of getting a divorce from her once abusive and controlling ex-husband. Meanwhile, said husband has a new women in his life and also another ex that was the first wife Imogen could never quite live up to. These three ladies are not close at all of course but do share more than they ever expected. All Imogen wants is what is fair from her ex but he’s done nothing but stall and fight her at every turn when it comes to their divorce. But when it comes to her young son being threatened Imogen snaps and does something out of desperation to try to take control of her life once again. Now, looking at my rating one might think this one wasn’t that good but don’t get me wrong, it was a solid and likable read. The thing is when I got to the end of the book I felt a bit underwhelmed which when thinking about it might be due to already knowing the outcome with the format, I just had to wonder if the story would have a bit more wow factor if all was unknown getting there. Now I’d also like to mention this one reminded me heavily of an old movie with the set up bringing these three women together and a part of what happens in the book. I know that sounds a bit vague but it’s best to go in not knowing as much as possible to enjoy the story but for me the originality factor lacked a bit also. So in the end I do think the book is worth a read but overall just an OK story for me. Hmm. I think this is one I can safely skip. Nice honest review Carrie. I think I may pass on this one. Great review Carrie. I guess this one could have benefited from a little more mystery.